1. COMPOSITION – look at the entire rectangle, and if the edges are empty move in or zoom in. Find the important objects (2 or 3) and see that they are positioned in balance. Beware big areas of the image that don’t contain content or add to the photo. 2. LIGHT – Indoors make sure that there is a good amount of light falling on all parts of the scene. Open window shades, should be plenty of light in midday. Avoid unnatural or harsh shadows, especially on peoples faces. Don’t have a light source shining into the lens of the camera this includes bright windows. Outdoors, don’t shoot people in open sunlight. Put them in the shade. easy. The auto camera will take care of the rest. 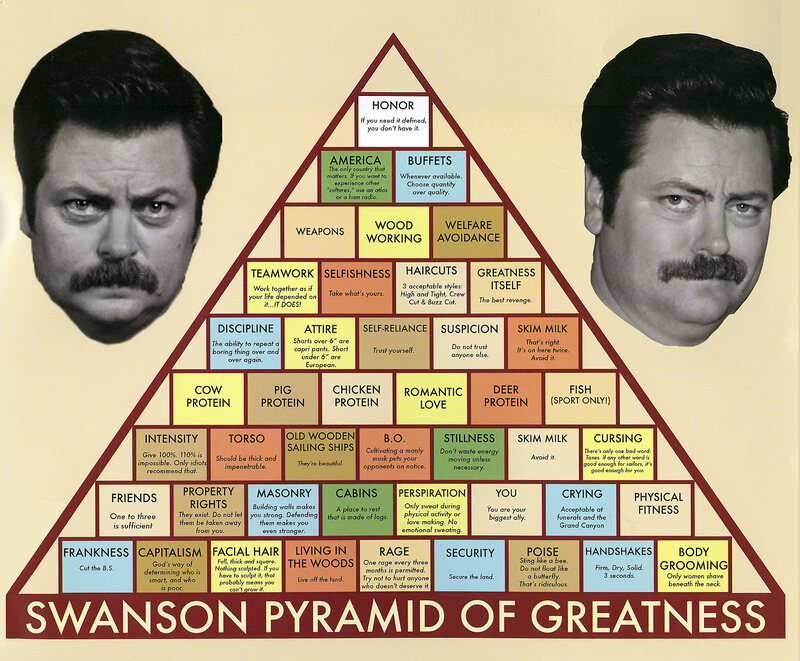 If you’d like to make your own, you can get a blank template from Joy’s blog, and check out her personal pyramid of greatness. 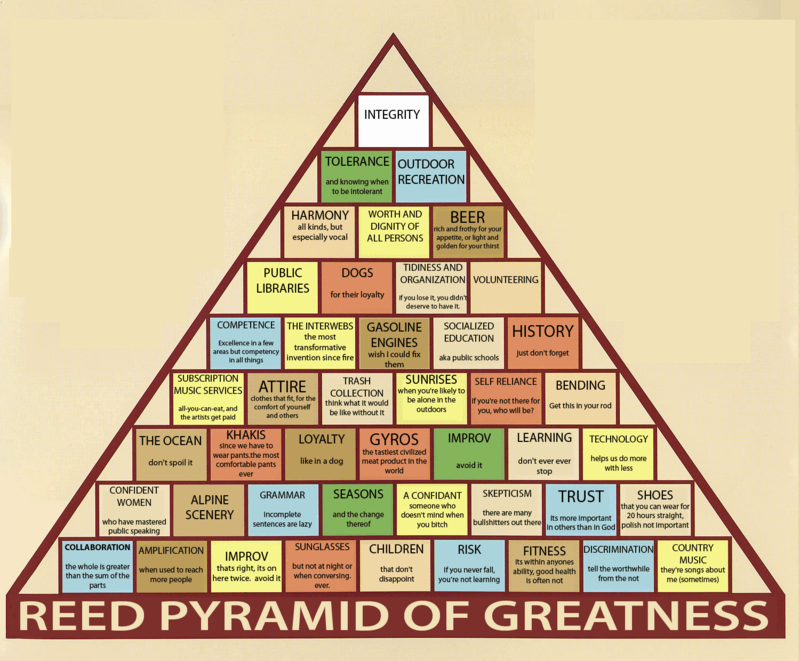 See the charlie sheen pyramid.